A native of the Chicago suburbs, Sharon Nowakowski has forged a career working at law firms in the city as outside counsel. Once she moved to Akorn Pharmaceuticals, however, she had to adapt a new mind-set as she as she took on her first in-house role. “The great thing about moving in-house is that from outside you can only make a suggestion, but in-house you get to see it through,” Nowakowski says. In February 2016, she was hired to serve as in-house senior counsel for corporate and securities as well as assistant corporate secretary at Akorn Pharmaceuticals. Her team consists of four attorneys, including a general counsel and one paralegal. One of the most exciting things about moving in-house for Nowakowski has been her ability to build stronger and better relationships with the company. 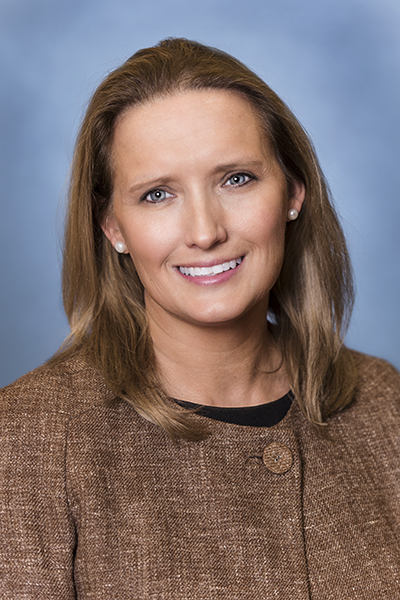 Although she had worked with Akorn in the past as outside counsel, for her this move meant getting to know more of the business and engaging with professionals throughout the company firsthand. In all of her projects, Nowakowski strives to build trust and loyalty with those with whom she interacts, she says. After graduating from Loyola University Chicago School of Law, she was hired to work at ABN AMRO Bank N.V. She had worked there during law school as part of an externship, and the company hired her upon graduation. Her next job at Bryan Cave LLP was when she first encountered Akorn. Before going there, though, she worked for the firm Polsinelli PC. During her time at Polsinelli, Akorn reached out to her with an offer to move in-house for the organization, which she did in 2016. She had to learn the ins and outs of an in-house position quickly, as she was hired to come onboard while the company was in the midst of a restatement. An added challenge, Nowakowski says, was that a new independent auditor was hired for this process. “The office was constantly filled with an army people at that time,” Nowakowski says. This meant working with multiple groups of people who were new to Akorn and the restatement process. To successfully complete this initiative, Nowakowski says it was important to work collaboratively and ensure there was transparency across the board. “It’s important to let people know what’s coming because, in this field, no one likes surprises,” she says. Coming in, the stakes were high for Nowakowski as her goal was to help keep the organization from getting delisted by NASDAQ. The deadlines were tight and despite the moving cogs within the organization, Nowakowski and her team were able to swiftly establish required new policies and filing disclosures as necessary to keep the company listed on the stock market. Recently, there have been more shifts in the structure, and Nowakowski is focused on helping onboard several new executives, including a new president and CEO. This means that she and her team have to arrange for these executives to sign multiple disclosures and file a lot of paperwork on their behalf, she says. All of this is time sensitive and requires coordination with the entire team. Nowakowski’s attention to detail and habit of frequently asking questions can be traced back to her days as an editor. “I wanted to see what it was like out in the world, so I pushed pause on my law career and got a job as an associate editor of the World Book, an educational publication,” she says. At this time, she had just graduated from the University of Illinois with a bachelor’s in arts. That job largely involved breaking down complex concepts and ideas in the world of education into digestible and easy-to-understand language for its readerships. “That’s essentially what I do today when it comes to contracts and negotiations for mergers and acquisitions,” she says. When it comes to law, there are numerous ways to interpret text and there needs to be a nuanced understanding of laws and regulations, so she emphasizes the importance of asking questions while working in a team. This way everyone is clear on objectives and able to work towards the same goals. Years after exiting the world of educational publishing and entering law school, she is happy she made that decision.